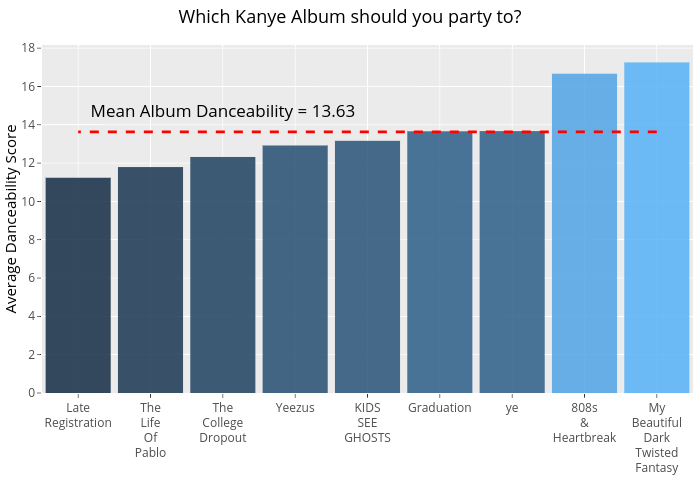 Bixby96's interactive graph and data of "Which Kanye Album should you party to?" is a ; with in the x-axis and Average Danceability Score in the y-axis.. The x-axis shows values from -0.5 to 8.5. The y-axis shows values from 0 to 18.163510696356315.